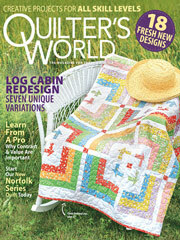 This free quilting pattern combines piecing and applique with teddy bears and Bear's Paw blocks. This quilted baby blanket would be perfect for a baby shower gift. Finished Project Size: 46 1/2" x 46 1/2". Block Size: 13 1/2" x 13 1/2".